Gov. 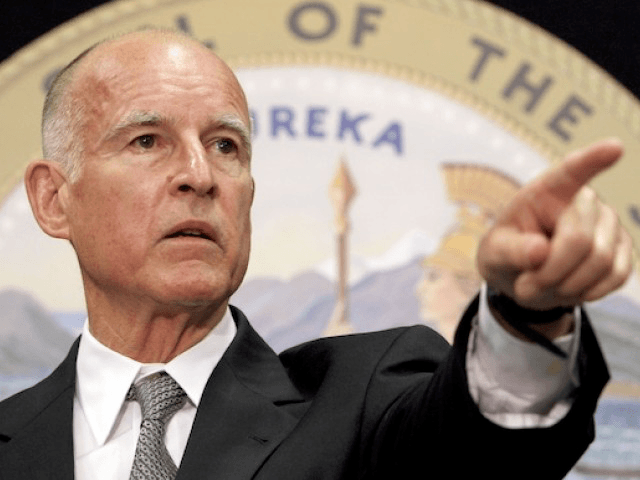 Jerry Brown vetoed a bill Friday that would have set a timetable for providing state subsidies for all low-income four-year-olds. The bill would require state preschool programs to be available to all children, who are not already in transitional kindergarten and are eligible for subsidies, by June 30, 2018, contingent on a sufficient appropriation. Last year’s education omnibus trailer bill [SB 858] already codified the intent to make preschool and other full-day, full year early education and care opportunities available to all low-income children. The discussion on expanding state preschool – which takes into account rates paid to providers as well as access and availability for families – should be considered in the budget process, as it is every year. A bill that sets an arbitrary deadline, contingent on a sufficient appropriation, is unnecessary. Pre-school advocates, however, are apparently unwilling to trust the “intent” to appropriate for all low-income preschoolers, and are concerned their cause will not be funded when it is considered among all other state budgetary items. McCarty also expressed dismay in Brown’s veto. Even though more than 60% of California’s Latino four-year-olds and half of African-American four-year-olds are not enrolled in preschool, Governor Brown says we can continue on modest, incremental efforts rather than clear and decisive planning. We stand with Assemblymember [sic] Kevin McCarty, and AB 47 co-authors Assembly Members Bonta, Chávez, Eduardo Garcia, and Rendon, declaring that children’s futures deserve more. “Everyone,” however, does not agree on the necessity of universal preschool. As Lindsey Burke wrote at The Daily Signal in 2013, Oklahoma and Georgia both implemented universal preschool programs in the 1990s, and both states saw no clear benefits.